Marc Faber believes in the signal from the bond market: A slowdown is imminent. However, it relies on shares of Asia and of gold mines, as he explains in an interview with "Finanz und Wirtschaft". 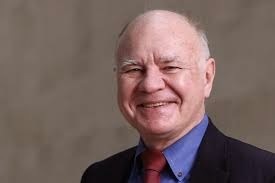 Now he lives in Thailand Swiss Marc Faber is considered by many market participants as a permanent pessimist. In fact, the expert system expected in conversation with "Finanz und Wirtschaft" once more a correction in the U.S. stock market. Still, he was allowed to warm for Asian shares or the securities of Goldmineuren. Almost euphoric sounds its recommendation for real estate stocks in Hong Kong, acting at discounts of up to 40% on the net asset value. Mr. Faber, in May 2013, the mere announcement of the Fed to scale back the monthly bond purchases, a shock wave has passed through the financial markets. Now the tapering is nearing completion, and the S & P 500 marked new all-time high. Is no problem? Despite this shortage of liquidity the Fed keeps interest rates still near zero, Fed chief Janet Yellen as recently announced. Therefore, monetary policy remains expansionary, despite restriction of bond purchases. Since the beginning of the tapering interest rates were on the bond markets, while the stock markets have risen. Either the bond market is right, announcing by the low interest rates recession and deflation, or the soaring stock market, signaled the growth. Therefore, correct either the bond market or the U.S. market in the next twelve months, which is to other stock markets rated highly in comparison.